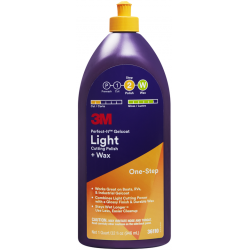 In the manufacture, care and repair of boats, 3M is a trusted leader, developing products that deliver reliable, professional results. Whatever your marine needs are, you'll find cutting-edge solutions designed to streamline your processes while helping you save time and money. A fast acting liquid abrasive that removes sanding scratches from refinished or original paintwork and&nbsp;helps achieve a superior high gloss finish.&bull; Fast cut-rate performance.&bull; Superior high gloss finish.&bull; Quick and easy clean up. A fine finish compound designed specifically for modern scratch resistant clear coat paint systems. Also&nbsp;excellent as a single compound/polish product for standard 2 pack paint systems. 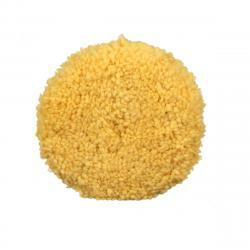 Used in conjunction with&nbsp;two accessories &ndash; a wool buff giving high cut rate followed by a foam pad for excellent finish. Polish for rotary swirl and hologram elimination.&bull; Ultimate high gloss finish.&bull; Quick and easy clean up.&bull; Minimal sling. Cartridge containing dry powder (black or orange) and applicator used to highlight surface imperfections&nbsp;and sand scratches prior to finishing with&nbsp; abrasives. 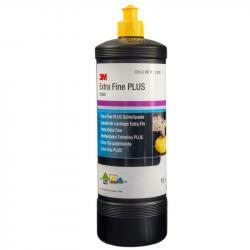 Can be used on marine fillers, primers, paints and&nbsp;gelcoats. Contains no solvents. 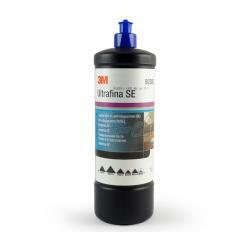 Designed to clean, condition and protect marine vinyl and rubber components. Unique gel formula&nbsp;provides durable protection in exterior, as well as interior applications. Gel formula gives you better&nbsp;application control than liquids. A little bit goes a long way. 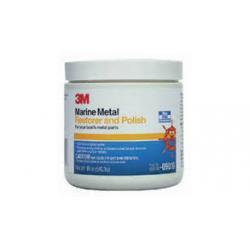 Designed to restore and polish stainless steel, brass, bronze, copper, chrome, aluminium and other marine&nbsp;metals by removing surface rust, oxidation, corrosion and tarnish. Restores lustre. It&rsquo;s vital to start any refinishing project with a clean surface. 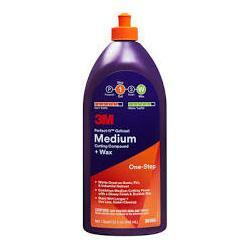 3M&trade; Perfect-It&trade; Boat Wash cleans grime,&nbsp;algae, dirt, and other common marine contaminants from stem to stern. This Prep-Step allows for superior&nbsp;refinishing results. And as a professional concentrate, you only need one ounce per gallon. 3M&trade; Perfectit&nbsp;&trade; Boat Wash&rsquo;s high-sudsing formula is also gentle enough to clean without stripping wax. This fast-cutting compound removes heavy oxidation, scratches, and other defects. 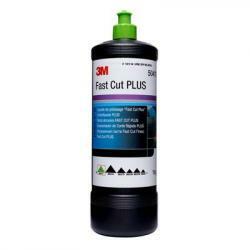 Use 3M&trade; Perfect-It&trade;&nbsp;Gelcoat Heavy Cutting Compound for any P800 and finer scratches. 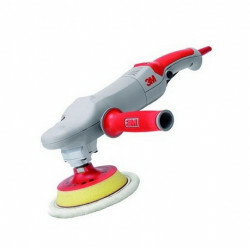 Its improved formula has longer wet&nbsp;times for easier clean up and less dust. Plus, this formula works better in warm climates and allows you to&nbsp;use less material than before. 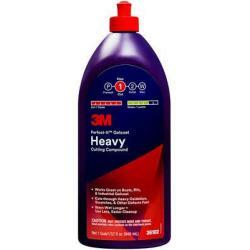 3M&trade; Perfect-It&trade; Gelcoat Heavy Cutting Compound works great on boats,&nbsp;RVs, and industrial gelcoats. While ideal for three-step processes, its high gloss results can be protected&nbsp;with 3M&trade; Perfect-It&trade; Boat Wax after compounding for an easy two-step finish. Perfect-It&trade; Gelcoat Medium Cutting Compound + Wax combines fast cutting power, a high gloss finish,&nbsp;and durable wax protection. Use this for any P1000 and finer scratches. Its improved formula has longer&nbsp;wet times for easier clean up and less dust, even in warm climates. 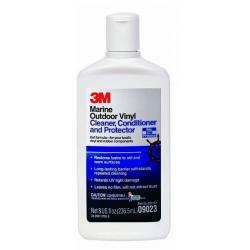 3M&trade; Perfect-It&trade; Gelcoat Medium&nbsp;Cutting Compound + Wax works great on boats, RVs, and industrial gelcoats. This one-step solution&nbsp;results in a brilliant finish and long-lasting protection for any of your gelcoat surfaces. When a brilliant finish and durable protection are needed for P1500 and finer scratches, 3M&trade; Perfect-&nbsp;It&trade; Gelcoat Light Cutting Polish + Wax is the perfect solution for light or dark colored gelcoat. We&rsquo;ve&nbsp;improved the formula with longer wet times offering easier clean up, less dust, and more efficient use,&nbsp;even in warm climates. Specifically formulated for boats, RVs, and industrial gelcoats, this polish is ideal&nbsp;for one-step processes. Use whenever you want a durable wax finish. Refinishing any surface takes effort and your effort deserves long lasting protection. 3M&trade;&nbsp;Perfect-It&trade; Boat Wax keeps all sorts of surfaces looking great. It&rsquo;s safe for gelcoat, paint, fiberglass, and&nbsp;metals and has a pleasant tropical scent. The pure wax finish protects against the elements. 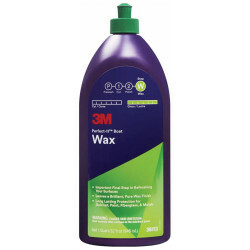 Use 3M&trade;&nbsp;Perfect-It&trade; Boat Wax as a final step to any process where a wax finish is recommended. 3M&trade; Superbuff&trade; III 2 plus 2 Buffing Pad is made of blended untwisted wool with a stiffer centre hub for&nbsp;more cutting power. 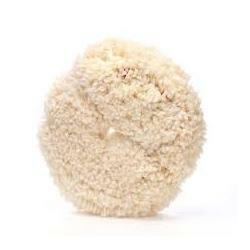 It is double-sided and is&nbsp; less aggressive than 100% wool. Fits all standard (5/8&rdquo; shaft)&nbsp;slow-speed polishers. The Superbuff&trade; Polishing Pad is a double-sided, soft-edge polishing pad, specifically designed for use&nbsp;with a polisher and glaze. 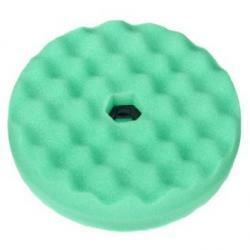 Made of extremely fine fibres, the Superbuff&trade; Polishing Pad produces a high&nbsp;gloss on paint and gelcoat surfaces. Other features include: long life, flexibility, lightweight and it is well&nbsp;balanced, For compounding prior to glazing, one of the other Superbuff&trade; Pads may be used. 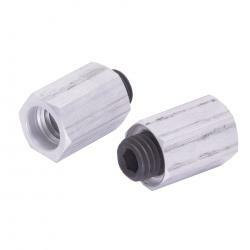 Fits all&nbsp;standard (5/8&rdquo; shaft) slow-speed polishers. Adaptor for the 3M&trade; Superbuff&trade; Pads. For use with Superbuff&trade; Pads 05704 and 05705. 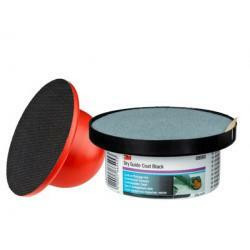 You can combine the superior polishing and buffing properties of 3M Pads &amp; Compounds with the&nbsp;high performance and durability of a 3M&trade; Electric&nbsp; polisher. Each tool comes ready to use and with an&nbsp;innovative body design that keeps the pad contamination free and an impressive power to weight ratio for&nbsp;improved comfort and performance.